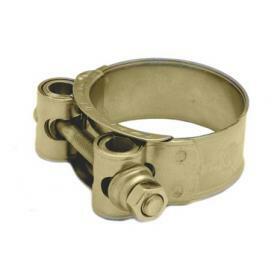 Original Super Gold bolt clamp from Mikalor. 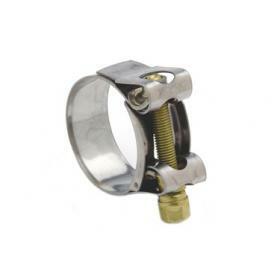 Manufactured from gold passivated zinc plated steel with BZP steel bolt. 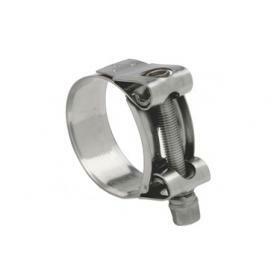 Supra Ferritic bolt clamp with 430 stainless band and captive nut for the BZP steel bolt.